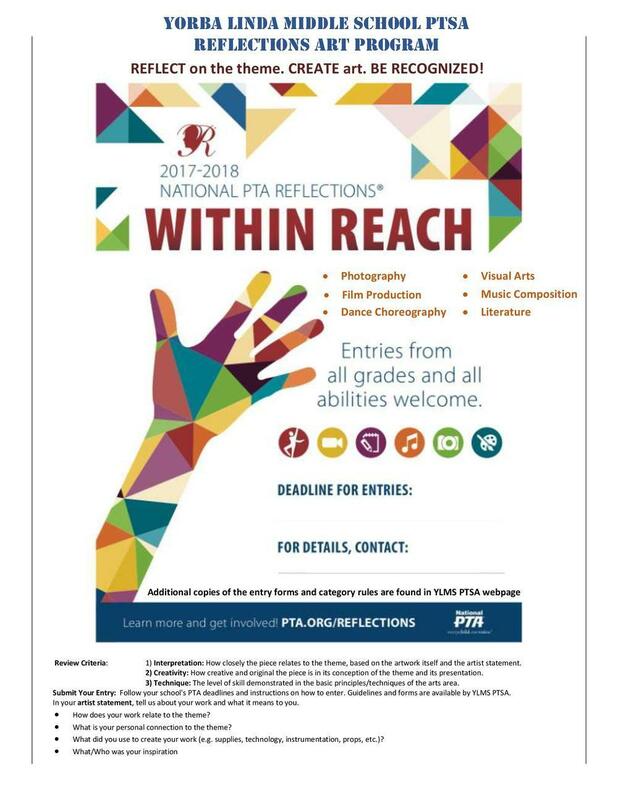 The Reflections ART Program is a National PTA cultural arts competition. The purpose of this program is to provide an opportunity for students to use their creative talents by expressing themselves through their own original works. 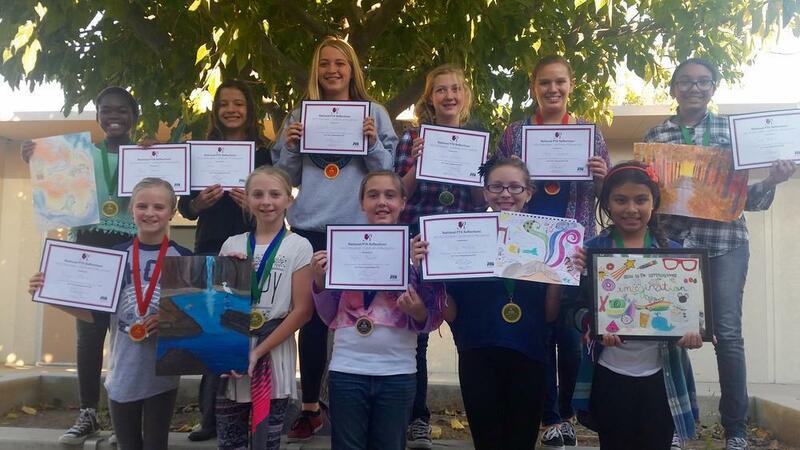 Each year, Reflections challenges students to create art that supports a specific theme. Students may submit an entry in one or more of the following six arts areas: Visual Arts, Photography, Literature, Music Composition, Dance Choreography and Film Production. There is also a Special Artist Division category for students with qualifying disabilities as defined under the Americans Disabilities Act (ADA). Thank you to all participants and to everyone that supported Reflections Art Program this year.